Plants have a natural rounded shape with leathery round foliage. Leaves have silvery undersides. Makes the perfect hedge or screen along fences, between properties and on medians in public spaces. Beginning in late fall, clusters of creamy white flowers emerge followed by small red edible fruits in spring. Take note that if not harvested the berries can create a mess along walkways or pavement when they drop. However, birds may harvest the fruit before it becomes a problem. Plants look their best when planted in full sun, but will tolerate a bit of light shade. 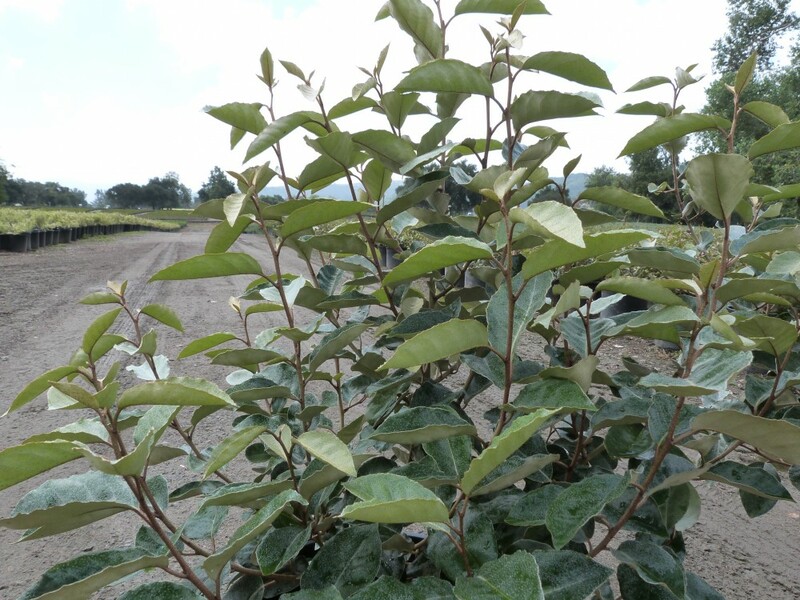 While this tough shrub is tolerant of wind, heat and drought, it is slightly susceptible to spider mites and fungal leaf spot during times of high humidity; or of plants receive too much shade. Otherwise this is an attractive and low-maintenance shrub.